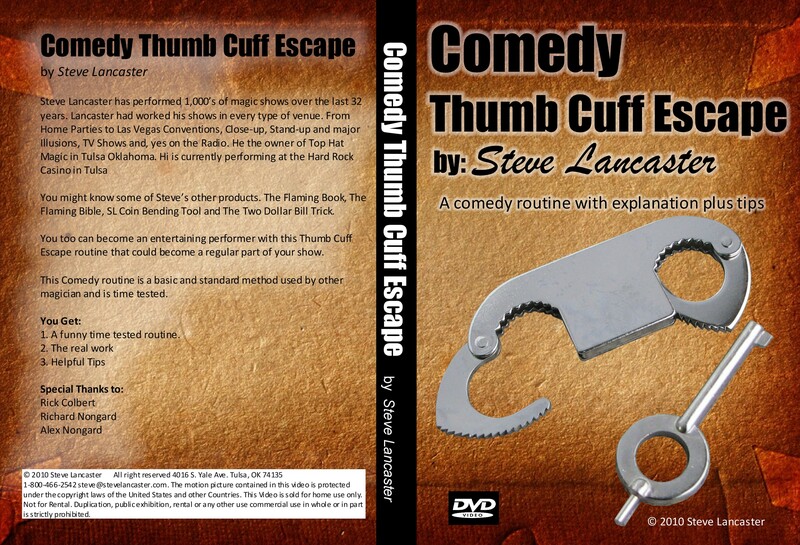 You too can become an entertaining performer with this Thumb Cuff Escape routine that could become a regular part of your show. This Comedy routine is a basic and standard method used by other magician and is time tested. You Get: 1. A funny time tested routine. 2. Get the real work.